Huawei is undoubtedly the greatest tech-involved collateral victim of an ugly trade war between China and the US that’s showing no de-escalation signs, having been effectively banned by the government from selling last year’s Mate 10 Pro smartphone through AT&T and Verizon. Specifically, one variant is available on one website from multiple sellers. 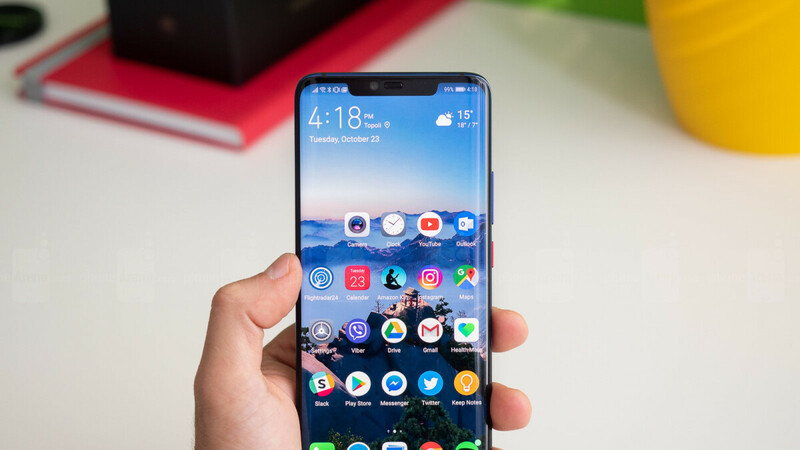 Never MSRP is not only the highest-rated retailer already shipping the factory unlocked Huawei Mate 20 Pro in the US, but also perhaps the best-known and most trusted eBay seller of popular phones in international variants at unbeatable prices. If there’s something to complain about, it’s that Never MSRP has this groundbreaking phone available in a single color option at the time of writing. On the bright side, $899.99 actually feels like a fair price to ask for a black Mate 20 Pro at this point in time. While the unlocked 128GB model is naturally sold without a valid US warranty, its long list of supported LTE bands seems to include everything you need for smooth sailing and blazing fast connectivity on AT&T and T-Mobile. No CDMA technology for Verizon or Sprint activation, though. In terms of specs and features, Huawei has pretty much thrown everything at the wall, sticking an impressive number of cutting-edge technologies. The in-display fingerprint scanner and 3D facial recognition method may not be perfect, but everything from the sharp screen to the massive battery to the three rear-facing cameras is astounding. Truly the best a phone can offer today. It's too bad about the screen issues. With lack of warranty, Huawei needs to address and fix this before I can feel comfortable making a purchase. It seems all units having screen issue are supplied LG. Yes. I was reading, 1 million units were made with Boe and the rest are LG. Seems like LG is sabotaging other oems but in reality that's just the conspiracy theorist in me talking. Yeah, with it being Huawei, you're going to need it. I'm still soured on them with the Nexus 6P fiasco and the battery failing. Sad...as an owner of a Mate 2, 8, 9 I was looking forward to getting a Mate 10, once the 20 came out, but, being an American user of phones, getting updates is a pain to start with, but they will most likely be non existent for U.S. users of Huawei devices, considering how the FCC and the rest of the federal government tossed Huawei under the bus. Huawei refusement to comment about green tint issue, deserved to be boycotted. No one should buy Mate 20 Pro until Huawei addressed the issue with officiell comment.